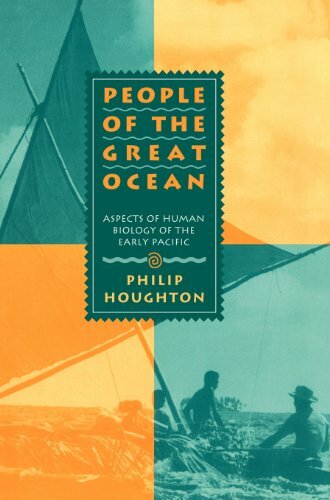 People Of The Great Ocean: Aspects Of Human Biology Of The Early Pacific: 9780521471664 Hardcover - LIMEROCK BOOKS INC.
Human settlement of the western fringes of the Pacific occurred at least 40,000 years ago. Long, hazardous sea voyages were the only way of reaching the tiny islands scattered through this vast expanse of ocean. Food and shelter were hard to come by, even on land. This book documents how these settlers adapted culturally and biologically to the Pacific environment, and how this can explain the patterns seen today in New Zealand, Polynesia, Micronesia, and Melanesia. The book discusses the distinctive Pacific environment and how its inhabitants have evolved into large-bodied, muscular people to meet the particular demands of the region. People of the Great Ocean is a uniquely original work based on extensive research and careful analysis. Houghton's text presents detailed technical information, but remains highly readable and persuasive. This unique work documents the biology of the first human settlers of the Pacific islands. The book discusses the distinctive Pacific environment and how its inhabitants evolved in response to the particular demands of the region. Houghton presents extensive research, while offering an absorbing text.